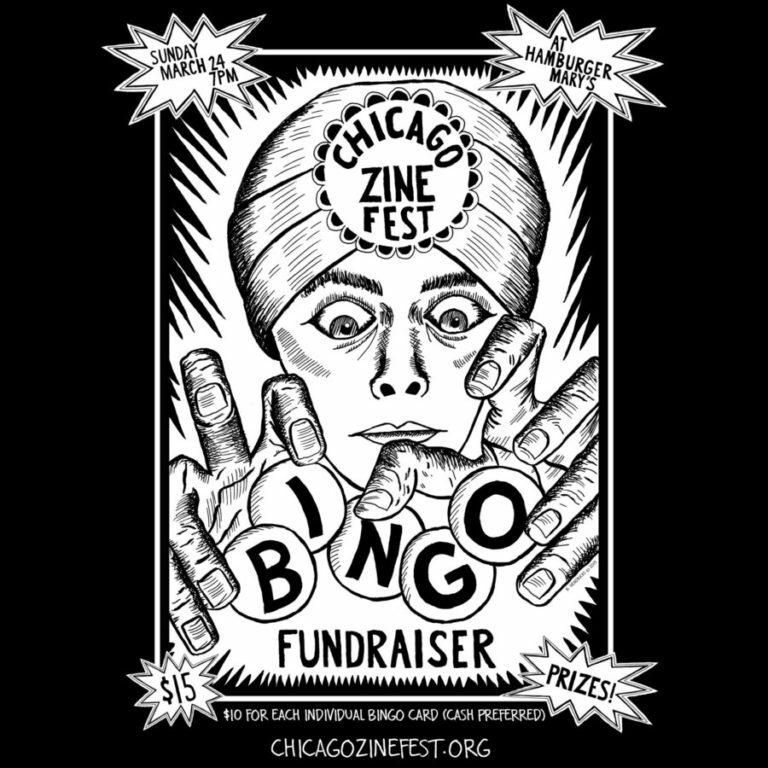 Chicago Zine Fest presents our annual Bingo fundraiser at 7 p.m. Sunday, March 24 at Hamburger Mary’s Chicago, 5400 N. Clark St. in Andersonville. CZF Bingo, now 8 years running, is always a lively night of fun, friends and, of course, zines! There is an entry donation of $15 which includes one bingo card pack, good for multiple rounds. You can double down for only $10 more and purchase an additional pack of bingo cards. All proceeds benefit CZF. Each round offers a chance to win awesome prizes from our friends at Field Notes, Quimby’s Bookstore, Women & Children First Bookstore, and more! Help us thank our hosts, Hamburger Mary’s, and get there early for a full menu of dinner and drinks! Hamburger Mary’s is Cash Only. Thank you to Robert Hendricks for creating our event poster artwork!